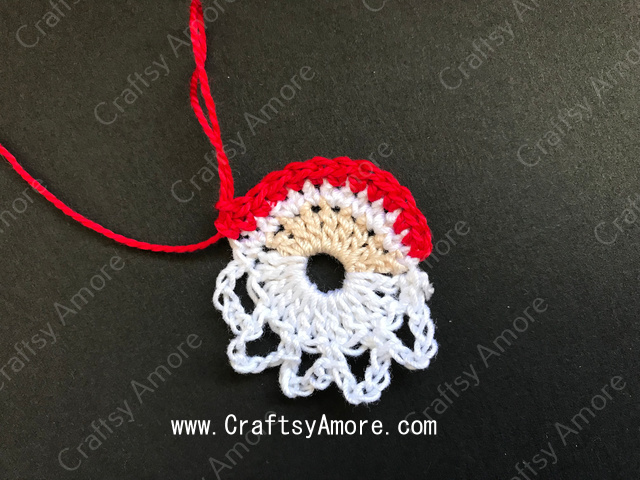 Today Craftsy Amore is going to show you another super simple way to crochet Santa Motif for Christmas decoration. 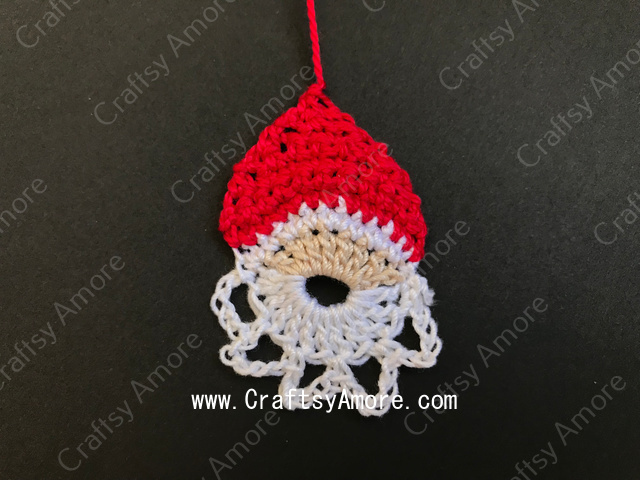 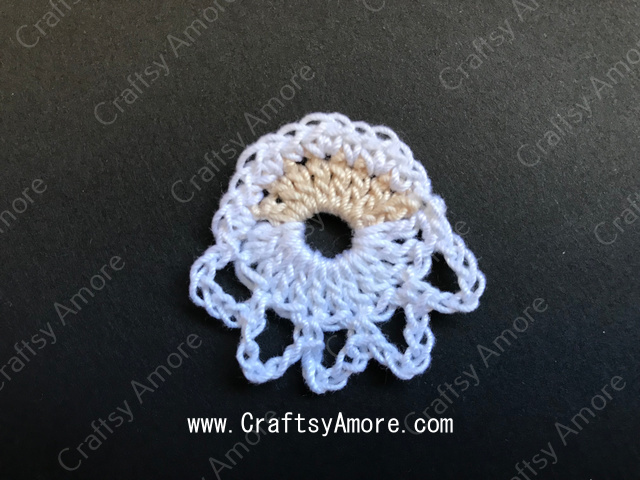 We have a cute Crochet Christmas Tree Ornament Free Pattern which I prefer to make a tree softies and hang on Christmas tree and a Christmas mobile for kids room. 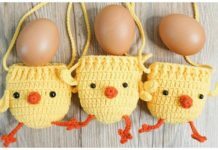 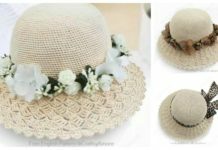 And this is a beginner friendly project you can finish in minutes, too. 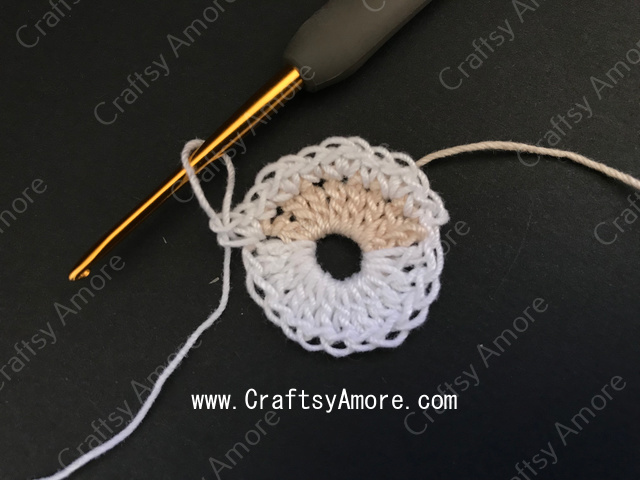 If you are learning double crochet, this project is perfect to crochet something beautiful for home decoration during the holiday season. 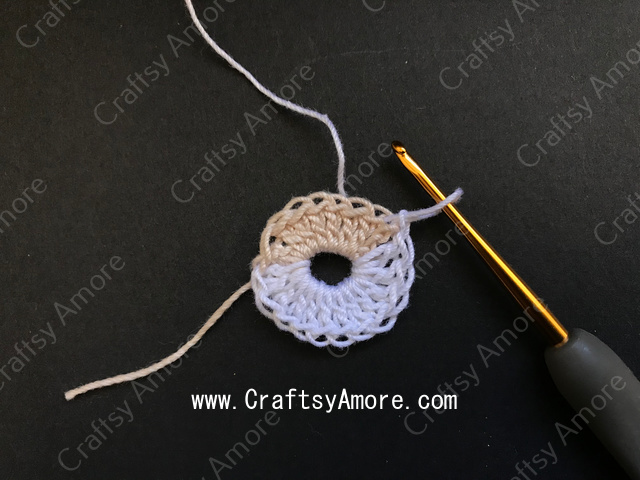 Change yarn to white, dc 12 into ring, join. 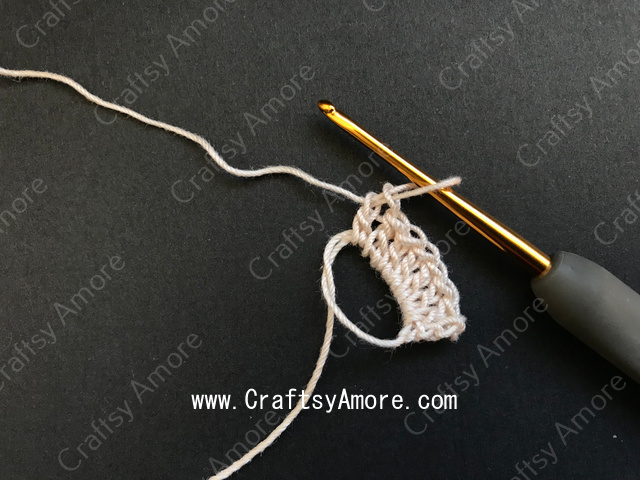 Rd 2: sl into next ch, * sc into next ch, 2sc into next ch*, repeat 3 more times, todal 12 sts.